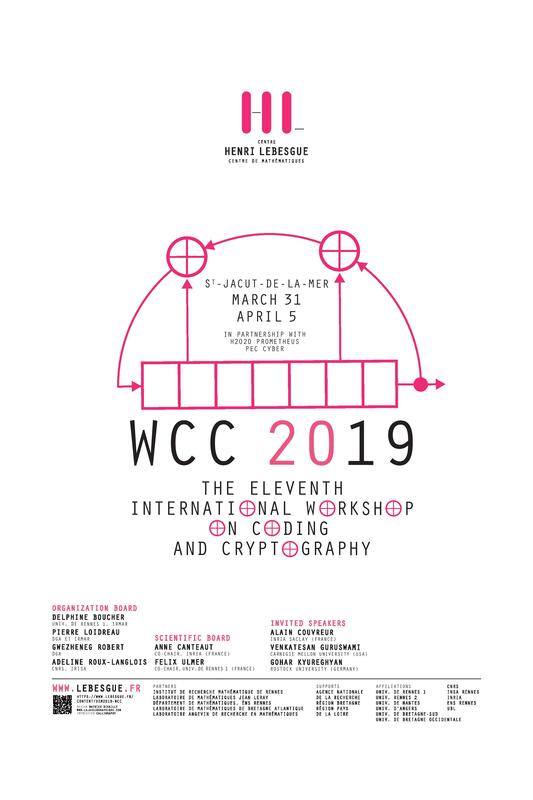 Welcome to WCC19 ! This is the eleventh in the series of biannual workshops on Coding and Cryptography. It is organized by Université de Rennes 1, CNRS, IRMAR and IRISA. Inscriptions are open until February the 27th.